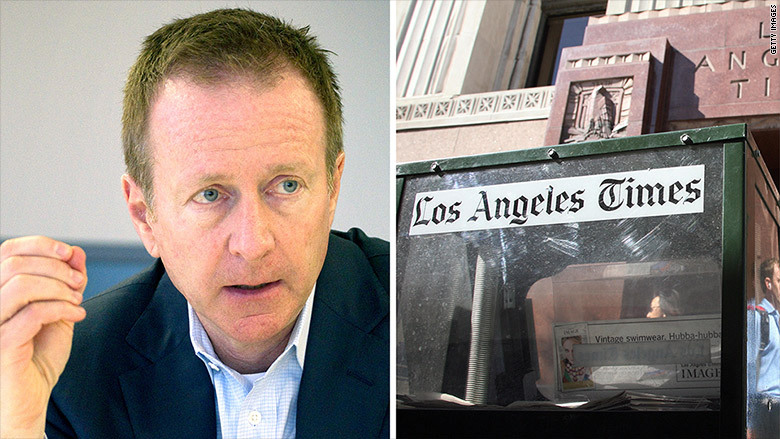 Austin Beutner, the Los Angeles Times publisher who was recently fired by Tribune Publishing, said he is not directly involved in ongoing talks to buy the newspaper. But he sounds like a publisher-in-waiting, ready and willing to take over if The Times changes hands. In his first television interview since his September dismissal, Beutner told CNN he supports local ownership of The Times and other papers like it. "I hope there is a solution, in the long term, where many organizations, not just The Los Angeles Times, are restored to their roots in the community," he said. The interview will be shown on Sunday's "Reliable Sources" on CNN. 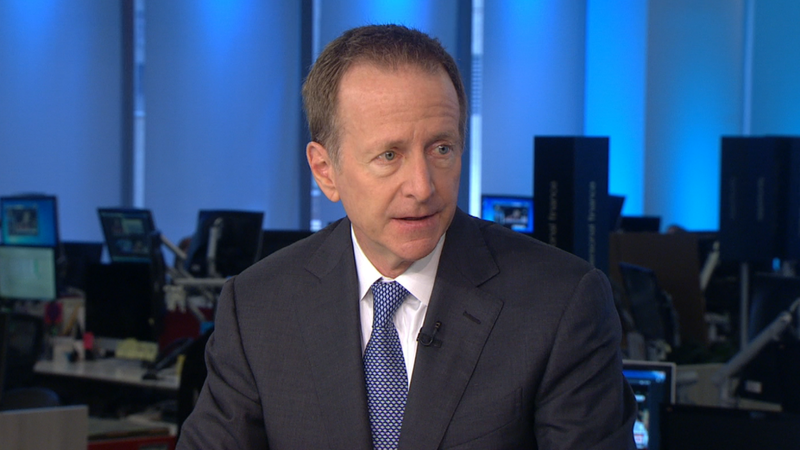 Beutner clearly objects to Tribune Publishing's cost-cutting strategies, which are currently underway across the company's chain of papers, with buyouts and possible layoffs by the end of the year. While saying nothing explicitly about the man who fired him, Tribune CEO Jack Griffin, Beutner contrasted Tribune's strategy with others, like Jeff Bezos, the owner of The Washington Post. Owners like Bezos are "investing in the community, and I think that's going to work," he said. Tribune executives have repeatedly objected to business proposals that would break up its chain of papers — from The Baltimore Sun on the east coast to the The Chicago Tribune to The Times out west. Most recently the Tribune board rebuffed an overture for The Times and its sister paper the San Diego Union-Tribune from billionaire philanthropist Eli Broad. Some news reports said Beutner's support for Broad's bid was a factor in his firing. Now a power struggle is playing out. Broad is widely believed to be preparing another offer, this time in concert with a number of other civic leaders in southern California. Industry analyst Ken Doctor told The Tribune in a story published Thursday that "the odds are better than even that there will be a new bid by Broad and associates for Tribune Publishing by year's end." Beutner told CNN, "I'm not involved directly in any talks." But he seems to be laying the groundwork for a bid by promoting the notion of local ownership -- something he also promoted before the Tribune hired him in 2004. "At this point in time, my most important thing is to make sure the message gets out that it starts with the journalists, that we need local organizations," he said. "And that's a very different exercise than talking about whether there's a deal or not for The Los Angeles Times or The Chicago Tribune or any other news organization." Beutner is also speaking about the same subject at a Columbia Journalism School event on Thursday afternoon. In the interview, he said he hadn't read Griffin's recent comments in Crain's Chicago Business about the future of newspapers. Griffin surprised a lot of people by sounding bullish about print; young people, he said, will turn to print papers as they grow up. Griffin was quoted as saying, "I don't think they're going to completely unplug and just go to Google News when they want to find out the answer to a question, and then know nothing else other than what they see on Facebook." Griffin's remarks flew in the face of most predictions about print waning and the Internet winning. Asked about that, Beutner said, "That feels a little bit like 'Back to the Future' part two; Cubs winning the World Series; it didn't quite happen that way." He referred to his four children and said, "All of them see the world first through their handheld device. That doesn't mean The Los Angeles Times, its brand, its form of journalism, can't be relevant, but if we're expecting them to sit through the newspaper to start their day, I think that's less likely to happen."